The Iowa Democratic Party unveiled their long-discussed plan to reform the Iowa Caucus process yesterday, laying out what would be the most significant changes to the caucus since its creation. They included a new virtual caucus option, an important tweak to viability procedures, a new reporting system for the raw vote, and a recount option. A 30-day comment period will now commence before a final vote is taken by the state party on implementing the new plan. 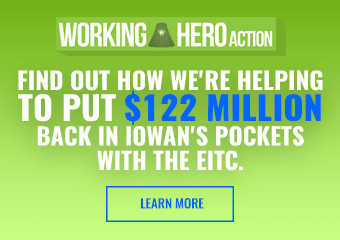 All together, the IDP’s proposal greatly expands access and options for Iowans who can’t or don’t want to attend their local precinct caucus in person. It also makes things a little simpler for those in the room on caucus night. The changes will also have a significant impact on how campaigns plot out their caucus strategies. Let’s go through a couple points and theorize on how presidential campaigns will adjust. The party will now hold six virtual caucuses at varying times in the days leading up to the Iowa Caucus, and one on caucus night itself. There would be no excuse needed to participate in a virtual caucus instead of going in person to your precinct caucus. The plan says this virtual caucus might be done online, by phone or another secure method. We probably won’t know the exact details until the IDP has hired a vendor to carry this out. People who choose the virtual caucus will all participate in the same statewide caucus, but people’s individual choices will be tabulated out by congressional district after everything’s over. Delegates from the virtual caucus will also be a separate pool from delegates in the precinct caucuses. There will be a 15% viability threshold in each individual congressional result, along with ranked-choice voting to simulate realignment. This impacts campaign strategies significantly, but it’s very important to note: the vast majority of the caucus delegates will still get decided at the in-person precinct caucuses. 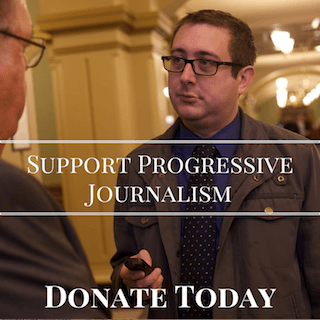 The reason for that is the virtual caucuses will only account for 10% of the total statewide delegates, no matter how many – or how few – people participate in it. I suspect the IDP is going for a set 10% delegate number to dissuade campaigns from simply directing all their supporters to the virtual option. Right now, we have no way of predicting how many Iowans will use the virtual option, but obviously at some point your supporters’ votes in the virtual method would essentially count less than a body in a precinct room. So, campaigns would be hesitant of pushing people to use this unless their supporter really can’t make it in person. Still, there are a couple scenarios where a campaign might tell its supporters in certain precincts where they fear they might not be viable to go ahead and take their chances in a virtual caucus. Say the caucus happened today. John Delaney currently has a large field team and has visited a lot of rural counties early on. In some more rural precincts, you may only need 10 to 20 people to get to 15% viability and snag at least one delegate. That’s something Delaney could do in a lot of places thanks to his many trips to small towns. In some of the mega-caucus locations in Des Moines and Iowa City and Cedar Rapids, where we’ve seen turnouts of 500 to 800 people before, you might need around 100 people in a single precinct to be viable. 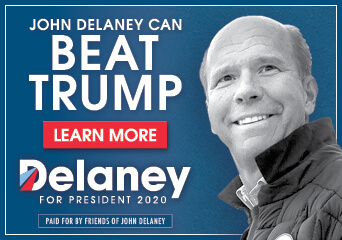 Given where Delaney is polling now, it’s unlikely he’s viable there. But he’d still have some supporters in those precincts. So, instead of sending your 30 supporters to a precinct where you know they won’t be viable, why not have them take their chances in the virtual caucus instead and plan on getting viable there? Let’s try another example with a different tactic. Say Beto O’Rourke gets in the race and ends up being really popular with the younger and more diverse base of voters in Iowa’s blue, urban counties. But he ends up struggling in more rural, older areas of the state (I don’t actually know if this is how it would play out, but just stay with me here). The virtual caucus delegate results will be divided by congressional districts. Iowa’s 4th Congressional District is more rural and conservative. If O’Rourke thinks he won’t be viable in many precincts in Western Iowa, he could encourage his supporters in the 4th District (probably with the exception of Ames) to do the virtual caucus and make a big play for winning a lot of the 4th District virtual caucus delegates. At this point you might be thinking, is this all getting too gamey? Well, here’s the thing: just because a campaign directs its supporters to do something, doesn’t mean they’ll do it. A lot of people are still going to want to attend their caucus in-person. Some won’t mind if their preferred candidate isn’t viable; they’ve got others they like for their second choice. Campaigns will certainly need to have a strategy for the virtual caucus. Given that those have viability thresholds as well, though, they may only go all-in for particular congressional districts. If you push a lot of your folks to the virtual option and you’re not viable in one district, you’re getting wiped out among 2% to 3% of all the state delegates in a single moment. In precinct caucuses, typically a precinct captain will read a letter from their candidate or give their own speech. But for this virtual caucus, could the candidates themselves give a quick, one-minute pitch over the phone? That could be fun! Will an Iowa Caucus field staffer be deployed to Arizona to knock the doors of Iowans’ vacation homes in Tucson and Scottsdale? Eh, maybe not, but the virtual caucus will allow Iowans traveling or living outside of the state to participate. That means campaigns will be tracking down every Iowa resident, no matter where they might be on February 3rd. This would also include out-of-state college campuses that tend to attract young Iowans. Watch for candidates to establish college chapters at Minnesota, Nebraska, Wisconsin, and Illinois schools with a high number of students from Iowa. For the virtual caucus, participants can do a ranked-choice ballot to list other candidates (five in all) that their vote will count for in case their first choice isn’t viable. Campaigns might provide sample ballots to their supporters with who they would prefer got the second choice vote. This can also lead to interesting alliances. Perhaps Kirsten Gillibrand’s team thinks they’ll be viable in the 3rd District virtual caucus results, but not in the 4th District. Meanwhile, perhaps Sherrod Brown’s team think they’ll have the opposite situation. Gillibrand could instruct her 4th District voters to rank Brown second, giving him some extra delegates there, while Brown could tell his 3rd District folks to put Gillibrand second in that virtual caucus. To participate in the virtual caucus, you have to pre-register during a set time period (January 6 to January 17). This shorter timeframe dissuades the entire caucus time from essentially being an endless absentee sign-up chase. One also assumes that who has signed up will be public knowledge to campaigns. That means a frantic effort in the final weeks for campaigns to identify and lock down support from every person they know will caucus this way. Let’s also look at what these new rules would take away from the old caucus strategies. In most precincts, for your candidate to be viable, your candidate’s group of supporters need to comprise at least 15% of the total number of people in the room. If you have less than 15%, your candidate is non-viable, and your group of supporters have to realign, meaning they can go to different candidate’s preference group and caucus for them instead. This happens during a specific realignment period, which usually lasts 15 minutes. In the past, a non-viable group could cobble together enough support to become viable (over 15%) after realignment. If you were really good at caucus math, you could calculate out how many extra people a group needed and send over folks from an already-viable candidate to help. Why do this? For this example: if John Edwards’ group was just three people shy of being viable, and Hillary Clinton’s group knew most of his supporters would go to Barack Obama in realignment, the Clinton group might send over three people to keep Edwards viable and deny Obama extra bodies and thus extra delegates (this is an exact scenario that played out in one of my precincts in 2008). But this sometimes caused confusion and frustration for your regular caucus-goers who weren’t steeped in caucus math and strategy. I also personally don’t believe it happened as much statewide as some who live in very activist-y precincts think. The IDP’s new proposed rules say that if you’re in a viable preference group, you can’t realign. Groups that aren’t viable can join each other to become viable, or they can go over to already-viable groups. Basically, this cuts out a lot of the gamesmanship. You also now can’t lose any delegates from what you start off with if you’re viable. I think what this will mean is that people can leave and go home once their initial count is set and they won’t have to worry that their candidate will lose delegates. In the past, this was a big problem. The counting of people can take a long time, and some folks get frustrated and leave. Precinct captains had to beg tired supporters to not leave until the very final vote was counted. That appears to not be an issue with this; realigning caucus-goers will simply get added to that group’s initial total. Who does this help and hurt? Essentially, it gives a slightly smaller advantage to the candidate who has the most experienced activists in the room, the ones who can do the caucus math and complex strategy on the fly. However, I would still much prefer to be the campaign that has the most longtime activists in my corner as it will help in many other more traditional ways to pick up delegates, it’s just that their advantage on the viability tactic is reduced. I think it will also help candidates who have the most first-time caucus-goers backing them. The caucus process can be weird and frustrating at times to newcomers, and some leave if their precinct is poorly-run. It seems that now all they need to do is stay long enough in the room to get through the first count. The other big change is that the party will also release the raw vote numbers from the first and second alignment. In the past, the only result has been the final state-level delegate equivalent that each candidate received. Because of how delegates are apportioned, these results can vary. Basically, every precinct gets a set number of delegates at the outset, based off of how well past state Democratic candidates did in that precinct. So, a precinct could get 500 people or 50 to turn out, that precinct would only elect six delegates either way. At the end of the day, delegates are what matter in a nominating contest. That will be the official result released by the party, and that’s likely what the news media will at least lead with (they get no benefit in confusing their viewers). But if a campaign started in third place on the raw vote of the first alignment, but fell to fifth place in delegates after everything was said and done, I think you can predict which number they’ll be pitching to the media. That’s the part that could get messy, and campaigns will have to walk a delicate line here. IDP confirms that once you’ve aligned into a viable group and get counted, you can go home. Excellent summary of the caucus reforms, Pat. The only thing I differ with you on is I suspect the national media will focus primarily on the raw vote totals for each candidate. It will be so much simpler for them to report these #s than to explain the concept of ‘state-level delegate equivalents’ to their viewers. This assumes, of course, that the raw vote count will be released at the same time as the delegate count — which I would hope. It’s interesting to think how different the 2016 caucus night media reporting would have been had the raw totals been released that night — probably showing that Bernie had actually beat Hillary in the total vote count, rather than Hillary squeaking out a narrow delegate victory. I tend to agree with you, Dennis, but even if they don’t report them at the same time (now, THAT could be confusing if they did!) at some time they will have to “post” the delegate count, and if the raw # “conflicts” the the delegate count. I can see them attempt to explain “delegate equivalents” – and getting totally bogged down. But consider that even with the proposed changes from the IDP, the procedure still seems less arcane that what I remember of the Republican caucus rules. With virtual caucuses (a potential very good thing, since the caucus process itself has, in the past been considered to be too exclusive) and ranked-choice voting (is that really only for virtual caucuses, as Pat’s article implies? ), it will be an interesting caucus time in Iowa (and still less chaotic than 2016). After the 2016 “caucus chaos” I certainly welcome change – perhaps someone needs to monitor the IDP? The virtual option is a real wildcard. Thank you for taking the time and trouble to clarify this for me. Now what will be the point of the county convention if candidates cannot lose support after the initial caucus? It was always hard to convince caucus people that they had to send some of their group to the county level if they really wanted their candidate to win there, too. Now they won’t have to attend the county convention. They still need to attend to assign actual delegates from the entire county at the convention. 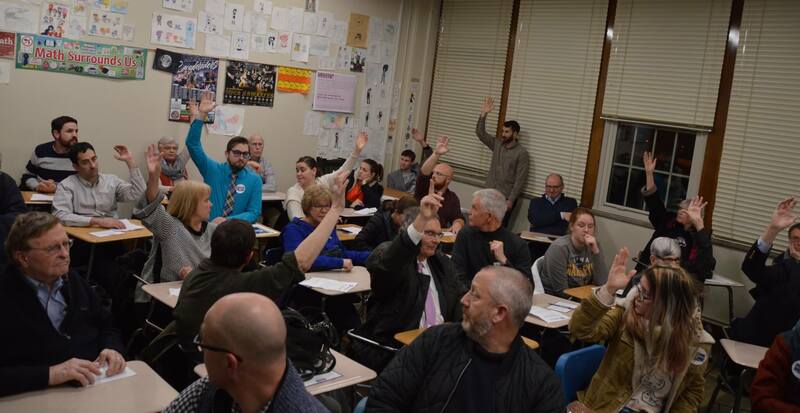 The caucuses only give them the number of delegates (just as they do now) for that precinct. And people still need to show up to FILL those delegate slots. Very few people who attend the caucuses actually attend the county convention (or district or state). I think what we have here is an experiment that may or may not work well ,but worth the try . We can always change things, its how we as involved participants in our governance should believe . My self I would prefer OPEN PRIMARIES , period !